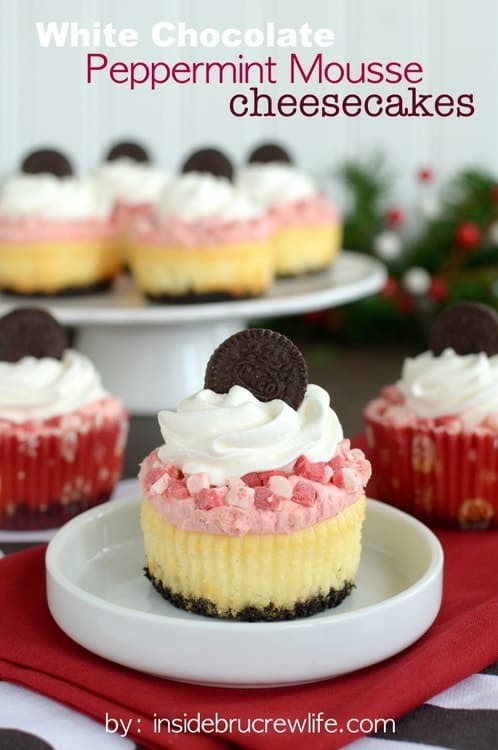 Cheesecake cupcakes. My weakness. I love both of them so much, so any recipe that combines them is a winner. Inside BruCrew Life has a unique recipe for White Chocolate Peppermint Mousse Cheesecakes. I love trying out new flavors of desserts, and this one sounds like it's a home run & perfect for the holiday season. Check out the full recipe here.